Timing Belt Pulley Replacement at your home or office. What is the Timing Belt Pulley all about? The timing belt idler is a small pulley that guides and stabilizes the timing belt to ensure its correct position. Depending on the size and length of the belt, a car may have 1 or more pulleys. Your car's timing belts are responsible for controlling the timing of your engine's valves, which open and close while you drive. If the valves are not synched up properly, they can open at the wrong time, crash into the pistons, and cause some big problems that will be costly in the long run. Timing belt pulley is usually replaced with the timing belt. When you request this service, we replace the whole unit (tensioner, belt, pulley, water pump) and replace the coolant as well. Remove timing belt and timing components. Replace timing belt, tensioner and pulley. Reinstall front cover and all accessories. Start car and set ignition timing. Refer to your car owner's manual for maintenance schedules. 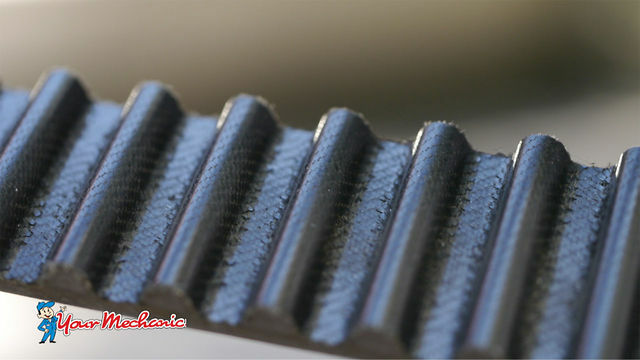 Timing belt is usually replaced every 60,000 to 90,000 miles. When the timing belt is replaced, it is a good idea to also replace the water pump, tensioner and timing belt idler. Inspecting the oil seals is recommended, too. What common symptoms indicate you may need to replace the Timing Belt Pulley? Squealing noise from engine compartment.